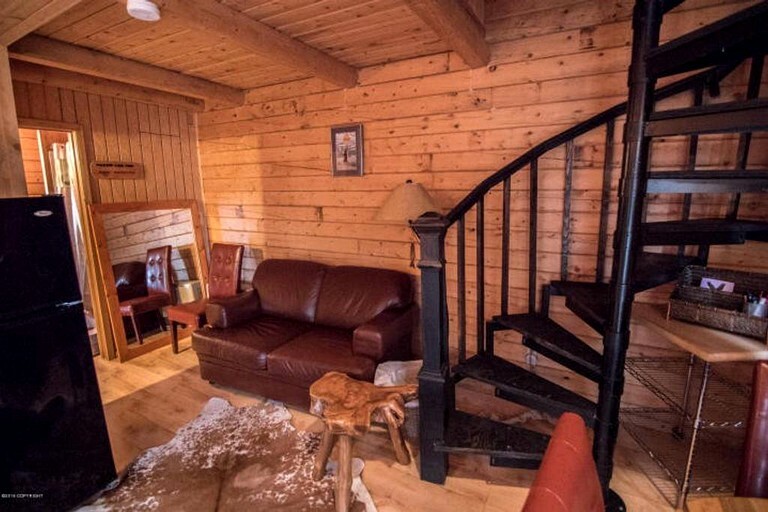 This unique cabin rental is ideal for a family-friendly getaway in the beautiful Kenai Peninsula of Alaska, near Homer. The spacious rental features one king-size bed, one queen-size bed, and two single-size beds to accommodate six glampers. Each bed in the cabin will have fresh linens and an overstuffed comforter for extra luxury and comfort during colder months. Guests will find there to be a fully-equipped kitchen with everything they need and more to enjoy their getaway in this breathtaking place. The kitchen includes a fridge/freezer, a microwave, a coffeemaker, and a stove, as well as basic utensils, cookware, and tableware which too, be provided for guests. 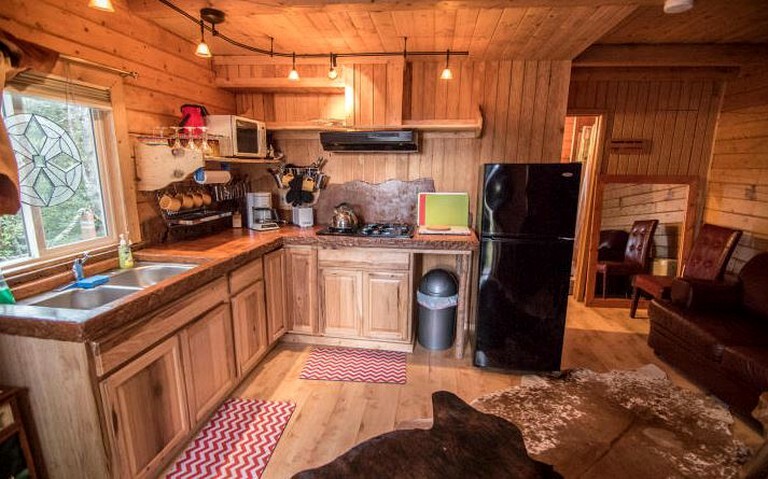 There is a dining table beside the kitchen so glampers can enjoy delicious and locally sourced meals together and in the evenings they can cozy in the living room for a fun games night in. 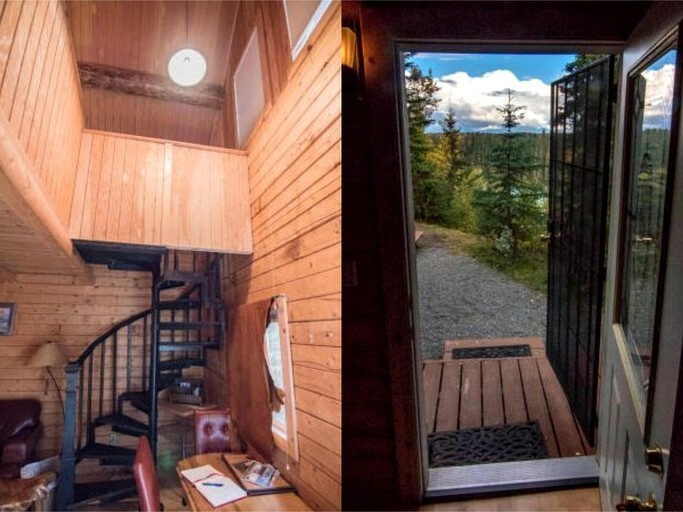 Glampers will have everything they need and more in this cabin rental to allow for a unique getaway in the glorious outdoors of the Kenai Peninsula in Alaska. 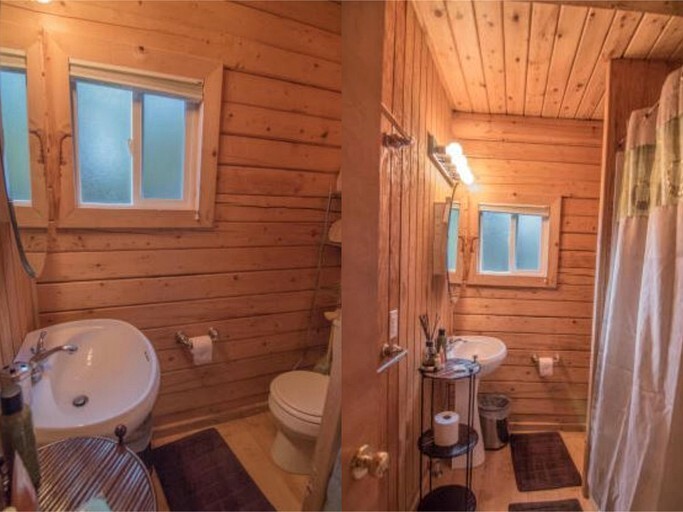 There is a fully-equipped kitchen with all basic necessities, as well as bathroom facilities including a shower, a sink, and a toilet. There is a large communal lounge area in the main building of the campsite that offers seating and storage. Outside, there is plenty of garden space for glampers to lounge around in the sun with loungers on their deck. The Kenai River is also just a few short steps from the cabin. 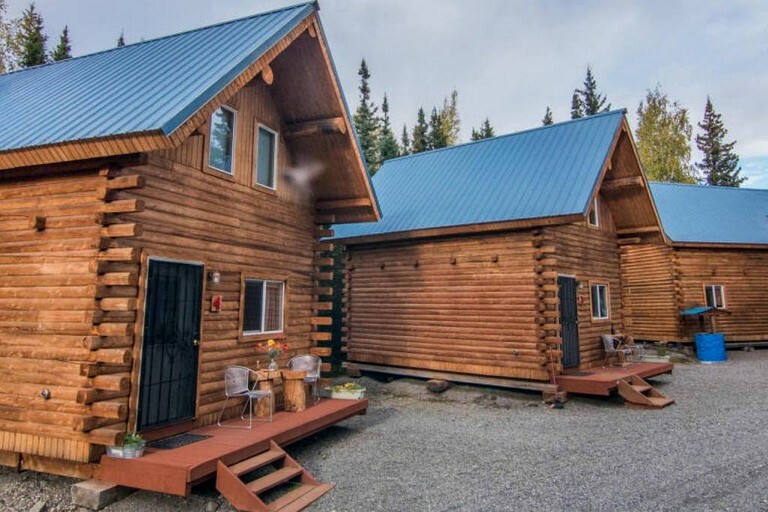 Located in Sterling, Alaska, this camping cabin is ideal for a unique vacation getaway close to an abundance of nature and outdoor attractions for the whole family or group to enjoy. Sterling is a small and tranquil village in the Kenai Peninsula Borough of Alaska that offers many local attractions including traditional and local cuisine and entertainment with bars and restaurants. 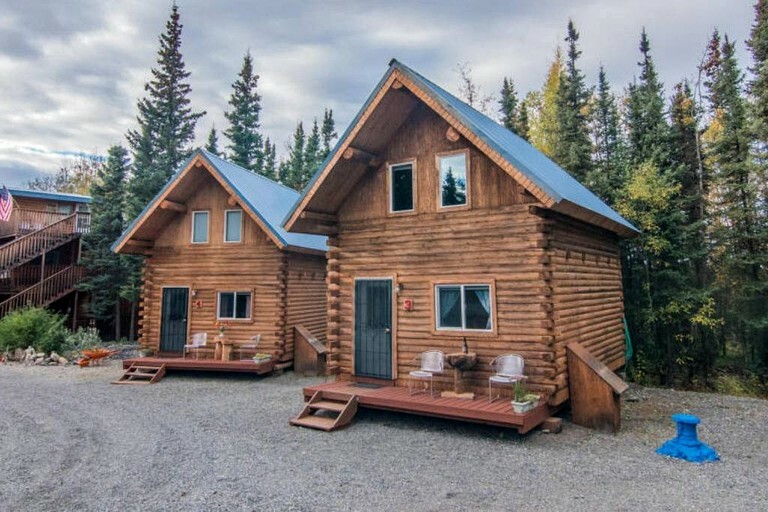 Glampers will find many attractions and activity opportunities including the Kenai National Wildlife Refuge Visitor Center, the US Wildlife Refuge, the Izaak Walton State Park, and the Bings Landing Campground and Day Use Area. 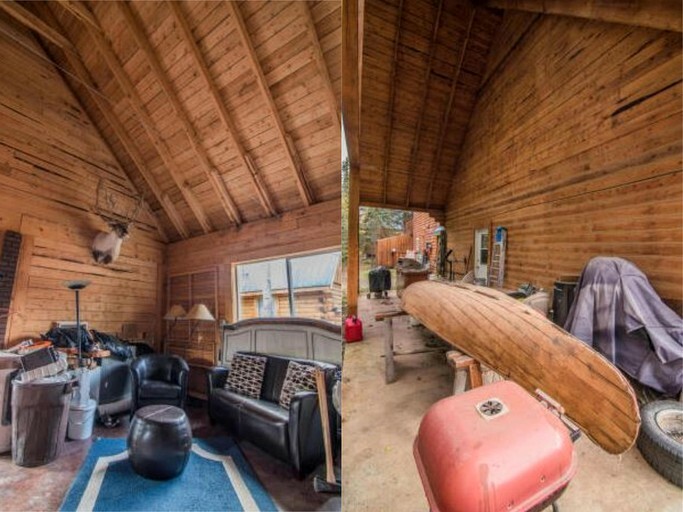 Glampers will also be on the doorstep of the Kenai River that will provide them with plenty of fun activities to do during the day. The coastal city of Kenai is just 30 minutes away and is The Chugach National Forest is roughly an hour and 10 minutes away and is filled with unique sights and landscapes, as well as trails for all levels and desires. The Kenai Fjords National Park is just over an hour and a half from the rental and is home to incredible views and spectacular marine life. Visitors will delight in the abundance of outdoor activity opportunities close to this glamping site. Guests can receive a personalized adventure with the best guides around that will give them a one in a lifetime opportunity to see the area in the best way possible. Glampers can cruise the famous Resurrection Bay into the beautiful Kenai Fjords National Park and around the Harding Ice Field, which is, in fact, part of the largest ice field in North America. Guests can see the stunning glaciers and the huge blocks of ice that surround, as well as the many marine wildlife in the area including whales, sea lions, otters, and orcas. Bald eagle watching is a sight not to be missed in this area and many of them perch in the trees around the shoreline. Kachemak Bay through to Homer offers spectacular and serene waters where glampers can enjoy kayaking and white-water rafting. For those who would like more of a thrill, there are businesses that provide a flight-seeing adventure onboard an Alaska bush plane that goes over the whole mesmerizing area with wildlife sights below including moose, black bears, caribou, and black bears. The host can provide glampers with a number of car rental companies.